Wind & Solar….Not More than “Novelty Energy”! The death of the wind industry didn’t come about because BIG Coal felt ‘threatened‘ and set out in some kind of John Grisham conspiracy to wreck it by fair means or foul. No. 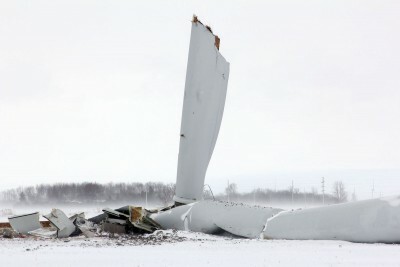 What kills it is the fact that a growing band of ‘eco-travellers’ – of the kind who once placed their faith in the Wind Gods – have woken up to the scale and scope of the great wind power fraud. For the climate change Chicken Littles, their quest to rid the planet of dreaded CO2 gas (query how plants and every other living thing survive without it?) has seen the more sensible of their number turn their backs on the wind; and to nuzzle up to nukes, instead. 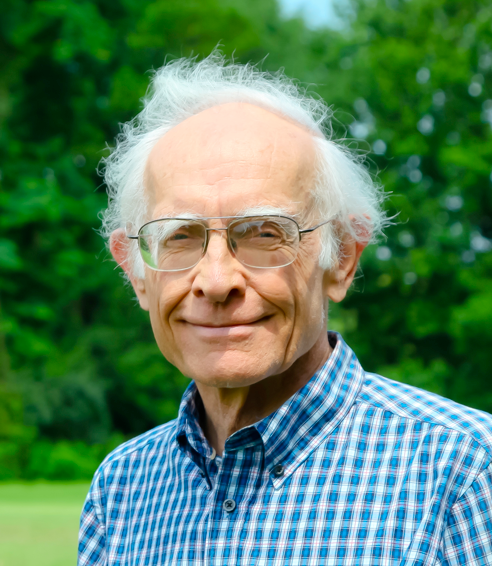 Dr. Alan Carlin has, despite his background with America’s top environmental lobby, the Sierra Club, not only reached the obvious conclusion (viz, that wind power will never replace conventional generation sources), but has repeatedly determined to put pen to paper, to make sure his peers know all about it. Alan received an undergraduate degree in physics from the California Institute of Technology in Pasadena. He then entered the PhD program in economics at MIT, with two summers spent at the RAND Corporation in Santa Monica, CA. His MIT major was in economic development; his thesis research was carried out in India under a Ford Foundation Foreign Area Fellowship. He then took a position as an economist at RAND, where he pursued primarily economic development and transportation economics. Now, here’s Alan’s message to the dwindling band of wind-cultists. One of the crucial unrealistic assumptions of the climate alarmist narrative is the belief that non-hydro renewable sources of energy can be easily substituted for fossil fuels for the generation of electricity. Proponents pretend that this substitution is simple and mainly involves political will for governments to impose the changes, and occasionally that subsidies must also be provided to encourage it. But the technical problems are actually very daunting for extensive substitution as well as expensive. As substitution increases, the technical problems become increasingly difficult and with attempted full substitution they become impossible except under special circumstances. This has not prevented advocates from pursuing their campaigns against the use of fossil fuel, nuclear, and hydro power at all levels of American government. Electricity grids collapse if supply does not exactly balance demand at all times. Using intermittent and largely unpredictable sources of supply such as wind and solar to meet demand is very difficult, particularly at a modest cost that users can afford. Grid collapse can be monumentally expensive, as can arbitrary reductions in demand known as load shedding which force users to halt all electricity use, usually on an arbitrary rolling basis between various regional areas. Traffic lights, hospitals, and manufacturing cannot do their jobs without reliable, continuous electric power. There are periods when both solar and wind provide little or no useful electric power because the wind is not blowing and the sun is not shining. These periods can and have lasted for as much as a week in Germany. Without other sources of supply the grid will collapse during these periods unless demand is arbitrarily reduced–even if the periods are only for a few minutes. Rapid response fossil fuel or hydro backup is required in order to meet demand during these periods. Many regions have little hydroelectric capacity and the abundant water required to make it productive. In the US only the Pacific Northwest has abundant hydroelectric resources. Attempts to build enough wind/solar capacity to meet demand during these periods is not practicable and would be extremely expensive if it were practical. During these periods of little sunlight and low wind, solar and wind will produce little power no matter how large or how numerous these facilities may be. Meeting demand during such periods without huge load shedding would require building huge wind/solar capacity which would almost never be used in order to slightly reduce the chances of grid collapse. And even then full assurance would never actually be achieved because of the high probability that there will be periods when there will be very little or no wind and solar generation. The alternative is to build and maintain enough fossil fuel capacity which must be in “spinning reserve” in order to respond instantly to fluctuations in demand and wind/solar supplies. This effectively doubles the cost of supplying electricity since two generating and even transmission fleets must be built and maintained rather than only one–fossil fuel and nuclear generation–except where abundant hydro capacity is available. In areas where abundant hydro capacity and water to power it are not available, the only way to solve this problem is to build very extensive pumped storage facilities to generate “artificial” hydro power. This is very expensive since power must be used to pump water uphill during off peak periods and the construction of artificial lakes that is often required at two different elevations is quite expensive and is usually opposed by environmental groups. Adding unreliable, unpredictable electricity sources such as wind and solar will inevitably decrease system reliability–which means increased risks of system collapse with its monumental costs even if every practical safeguard is used. These problems are not just theoretical. Germany and Great Britain have experienced them in recent years as their percentage of wind/solar has increased, and they have responded by increasing their investment in fossil fueled plants, just the opposite of what they have tried to do. Like Germany and Great Britain, Denmark also has increasing electricity costs but has solved the wind/solar substitution problem by entering into very high cost arrangements with their Nordic neighbors to supply hydro power when needed. Despite all these very real problems, the Climate-Industrial Complex (as explained in my book Environmentalism Gone Mad) continues to promote wind and solar, sometimes with the active support of some prominent politicians. ← Wind Energy will always be “Novelty Energy”.